Online betting is very popular in Indonesia. Most Asian bookies offer betting accounts in Indonesia rupiah (IDR) and some have a unique bonus and an easy deposit method. www.dafabet.com is a good example. They offer an initial match of 100% up to Rp. 750.000 free. Anyone with a Bank Central Asia (BCA) account can deposit here instantly using online banking. There are many benefits to using Asian bookies. They offer betting on famous European leagues such as English Premier League, Spanish La Liga, Italian Serie A, and UEFA Champions League. They also cover Asian football including Indonesia Super League (Liga Super Indonesia), and Indonesian Premier League (Liga Prima Indonesia). Their hang cheng betting odds (Asian Handicaps) tend to also be the best online. The other nice feature of Asian bookies is they offer accounts in rupiah and support Indonesian odds format. There are however many good reasons to use European betting sites instead of Asian bookies. In order to get more bonuses and find better odds, many Indonesians turn to European betting sites. One of the most popular examples is 188bet.com who while licensed in Europe and popular in the UK, also supports Indonesia rupiah (IDR) currency. Residents of Indonesia can open a USD account and claim a 100% up to $200 instant cash deposit bonus. $200 is about 1.890.000 rupiah making this a very large bonus. To use these sites you’ll need to know how to get around ISP blocks and also how to deposit, because most don’t accept Indonesian banking methods. The good news is I’ll tell you how to get around this and how to deposit in the next sections. In July 2012, the chief of Ministry of Communications Ashwin Sasongko confirmed the government is now blocking many residents from accessing betting websites. The easiest way to get around this is to purchase and set up a Singapore VPN. If the link I just provided is also blocked, Google search the topic. These cost about $15 US per month and are a great investment. The VPN websites are sometime technical and hard to understand, but really these are very easy to set up. After you purchase a VPN you’re sent step by step set-up instructions. The VPN company will also help you to get it setup and working if you need help. To bet online you’ll need to deposit money, which is called posting up. The bookmakers operate on post up and will let you bet however much is already in your account. When you make a bet your stake is removed from the post up balance. If the bet loses nothing else happens. If the bet wins the stake is added back to your post up account balance, and so are the winnings from that bet. Other than the online bookie I mentioned in the intro that accepts online banking deposits, most betting websites do not accept Indonesia banking methods (i.e bank transfer, credit card, and debit card deposits). You’ll need to use an e-wallet. The most popular e-wallet Indonesia residents can use is www.entropay.com. After creating an account on that website you load funds to your EntroPay account using any Indonesia debit card (or credit card) with a MasterCard or VISA logo. The fee for this is 4.95%. This is a high fee, but we don’t have many other options living here, other than to pay it. Your EntroPay account gives you a Virtual VISA card; the details of this card can be seen right on their website when logging in. 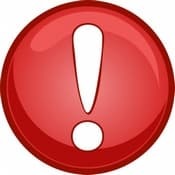 An important note is at some point EntroPay will email you a message that says whilst carrying out a random security check , we have noticed that your account needs further verification, and we have temporarily restricted your account.. They will ask you to send them scanned copies of your photo ID, utility bill, funding source and they’ll ask the name of the merchant at which you intend to spend. When asked this question, do not worry at all about saying the name of a gambling website. This is okay! EntroPay is based in the UK where gambling is very legal and they are not concerned with the betting laws of other countries. If you send them these scans and answer the question they will unlock your account very quickly. When you want to take some of all of your account balance out of an online betting account, visit their cashier and view the available payout methods. With 188bet and Dafabet you’ll find they offer bank transfer. After you ask for payment the money will come to your bank in a day or two. We at SBO.net believe adults should be free to make their own decisions, but do wish to inform our readers there are some potential risks when betting online from Indonesia. In 2009 ten children (ages 12 to 16) were arrested for playing a coin flip game in an airport parking lot. In 2010, a non-muslim was sent to prison for 4-months for betting Rp. 50.000 (about $5.00 US) on a football match with a friend. In 2011, dozens of Muslims found in a known gambling establishment were sentenced under Sharia law to seven strikes from a 1-meter long rattan cane and the punishment was carried out in public. In August 2012, seven online poker players were arrested for playing small stakes on Facebook, and now face 7-months in prison if convicted. Despite the strong anti-gambling laws of Indonesia, betting online remains very popular here. Those who are cautious use a reliable VPN, and deposit and withdraw using EntroPay. Also understand Indonesia has a population of over 242 million. While there are certainly plenty of stories about gambling arrests, it is a very tiny fraction of a fraction of gamblers who are arrested. We’ve done our part in explaining the risks. Online betting will happen on a large scale in Indonesia even if this article never appeared on our website. At least now you’re informed and from here it is your decision as an adult to decide if it is worth the risk.